It’s a bird…it’s a plane…it’s music! 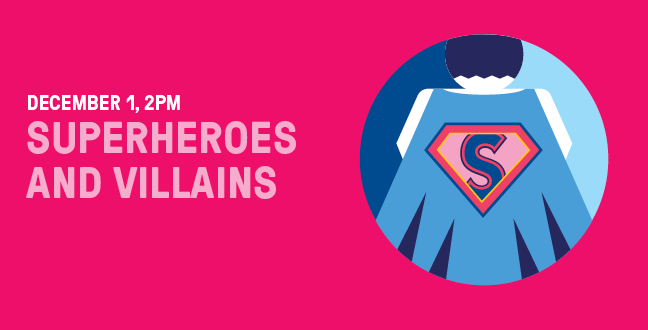 Don your favorite superhero or villain costume and join forces at Davies Symphony Hall for an action-packed performance of music from your favorite superhero scenarios. * You’ll hear musicians of the SF Symphony combine their individual powers to perform themes from Star Wars, Superman, Black Panther, Queen of the Night from The Magic Flute, and more! Don’t have a costume? Have no fear! Each child will receive a free superhero cape (emblazoned with ‘S’ for Symphony!). Curated by Conductor Daniel Bartholomew-Poyser, Music for Families is the perfect outing to spark musical curiosity in all ages.